Kathmandu– The government has formed a committee to probe the Summit Air's plane crash at Lukla-based Tenzing Hilary Airport in Solukhumbu on Sunday morning. Three people including two police and other four were injured in the crash that took place at 9.22 am on Sunday. 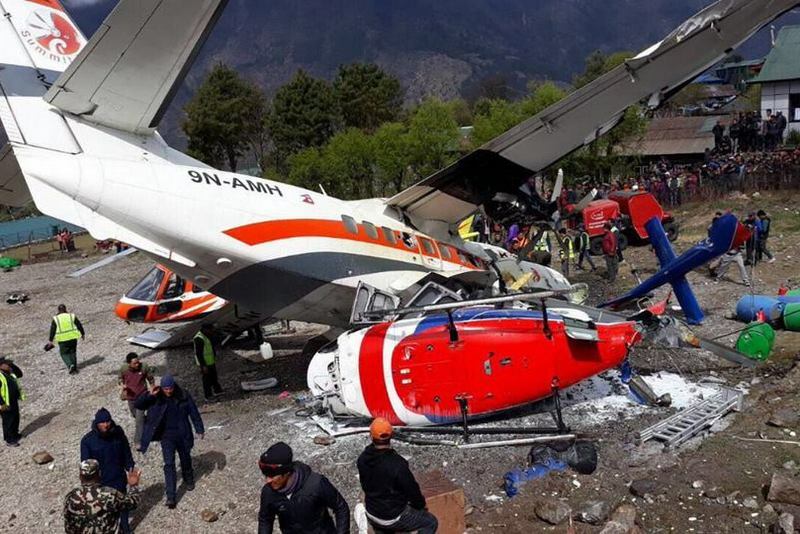 The accident occurred when the 9N AMH Call Shine aircraft skidded off and collided with the parked 9N ALC' call shine helicopter of Shree Air and Manang Air while taking off from Lukla to Ramechhap.